Enjoy the world's first Organic Coffee Granules. 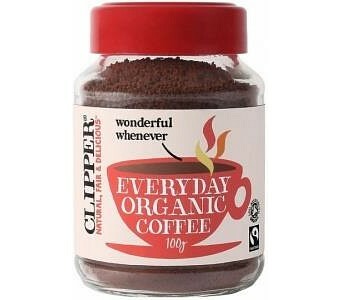 Blended from 100% organically grown coffee beans Clipper Organic Granules give a rich, robust flavour that provides a satisfying cup of coffee. Ingredients: Organic coffee. Certified to International Fairtrade standards.